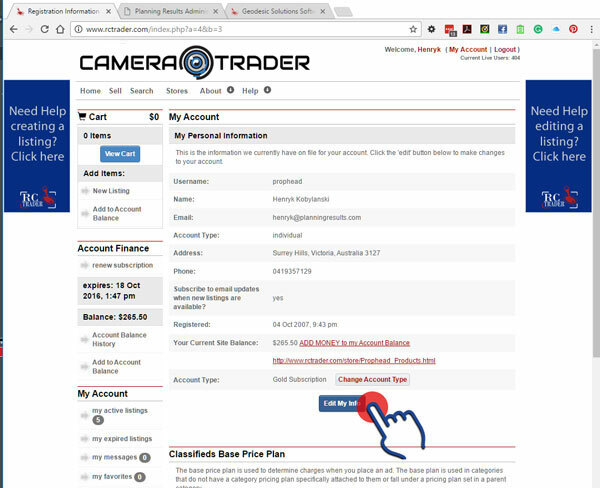 Camera Trader - How do I edit my details including my password? How do I edit my details including my password? 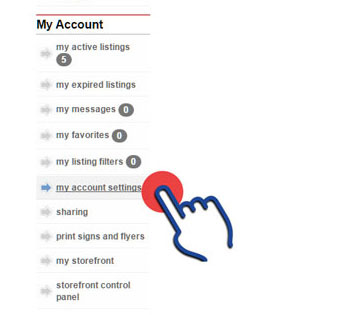 When that displays, there is a button at the bottom of “My personal settings” that says “edit my info” That will allow you to edit all your settings in your account. Or, you can just follow this link. The only detail you cannot change manually in your account is your username. To change your username, please contact us and request a username change. Please note: This is not an anonymous site. A requirement of registration on this site is the use of your real and correct contact details. No alias', pseudonyms, duplications or abbreviations will be accepted. Should you have any issues with our requirements, please first check our terms of service below and then please contact us with your questions. Some fields are mandatory in the system. When submitting your edited details, any field you have missed or placed incorrect information into will show up in red. (*) indicates mandatory (required) fields, all other fields are optional.